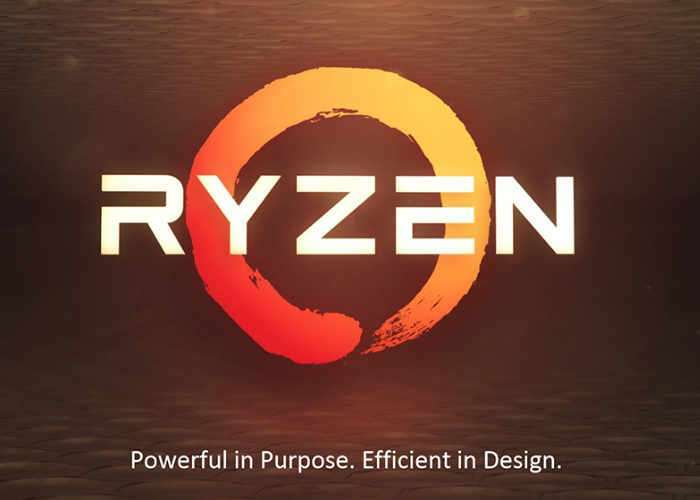 As expected AMD has now officially launched its new AMD Ryzen processor range this week, finally confirming the pricing for each processor, with costs ranging from $129 to $499 for the flagship Ryzen 7-1800X CPU. The Ryzen range includes three 8-core models in the form of the Ryzen 7-1800X priced at $499, the Ryzen 7-1700X at $399, and the Ryzen 7-1700 at $329. Ryzen 5-1600X is designed to lure buyers away from the Core i5-7600K, and probably even the i7-7700K. This six-core chip with SMT, which enables 12 logical CPUs for your software to deal with, is endowed with the full 16 MB of L3 cache, and is not only unlocked, but also features the XFR (extended frequency range) technology. It’s clocked at 3.30 GHz, with 3.70 GHz TurboCore. The Ryzen 5-1600X is priced at $259, and is sure to draw some attention. The quad-core Ryzen lineup is built by disabling one of the two 4-core CCX complexes on the 14 nm “Summit Ridge” silicon, and feature 8 MB of L3 cache. The lineup is led by the $199 Ryzen 5-1400X. This quad-core chip ticks at 3.50 GHz, with 3.90 GHz TurboCore, and features XFR and SMT, which enables 8 threads. Next up, is the quad-core Ryzen 5-1300, priced at $175, with the Core i3-7350K in its crosshairs, clocked at 3.20 GHz and 3.50 GHz Turbo. At the bottom of the pile is the Ryzen 3 quad-core lineup, which lack SMT. The Ryzen 3-1200X is priced at just $149, but you get 3.40 GHz clocks with 3.80 GHz Turbo, and XFR, and 8 MB of L3 cache. The cheapest Ryzen chip is just $129. The Ryzen 3-1200 lacks XFR, but gives you 3.20 GHz clocks with 3.50 GHz Turbo.